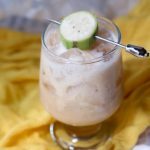 The best thing about a RumChata cocktail recipe is that you can keep it simple. RumChata is so tasty that you can drink it on its own. However, it also makes a fabulous ingredient in mixed drinks. 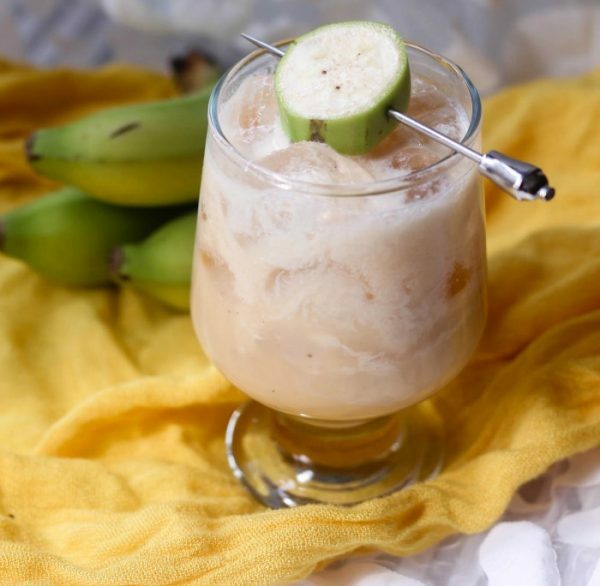 I don’t think we use bananas enough in cocktail recipes, so let’s change that, shall we? This recipe is intended for people 21 years old and up who drink responsibly. It’s hard to even call this a recipe since it’s two ingredients if you don’t count the ice and garnish. It’s summer though, and easy is good, right? Sometimes you just want a quick cocktail before you hop in your hammock. Just because it’s easy doesn’t mean you won’t go bananas for it. Fill the glass 3/4 of the way with banana nectar or banana juice. Fill the rest of the glass with RumChata. You can also top this yummy cocktail with whipped cream (not shown). Garnish with a slice of mini banana on a cocktail pick. Yep. 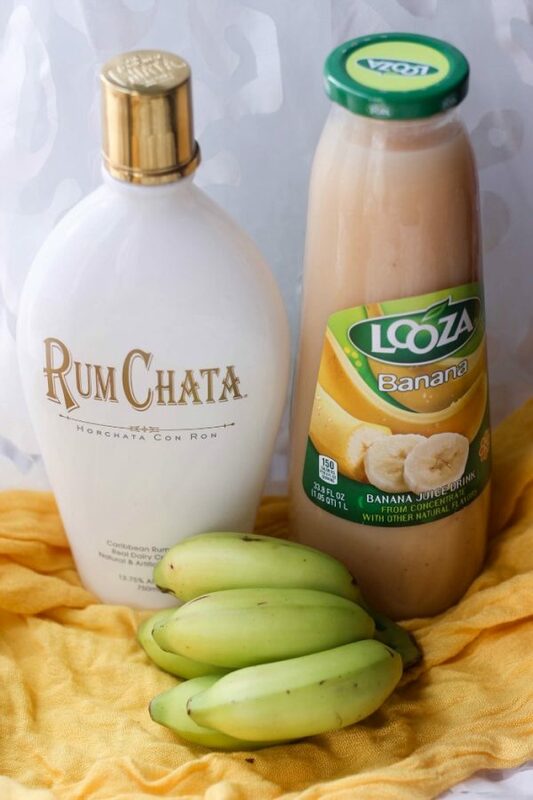 That’s all you need to do for this easy banana RumChata cocktail recipe. I want to play around with it a bit now, too. Maybe make it into a slushy using frozen bananas? Perhaps add a bit of chocolate liquor to make it like a dirty monkey drink? What do you think? If you love RumChata, don’t miss this Snickerdoodle RumChata Martini recipe, or these Coffee Push-ups. Stay tuned for more RumChata drink recipes since the bottle has earned a permanent spot in our liquor cabinet. Let us know if you have any cocktail recipe suggestions or requests. 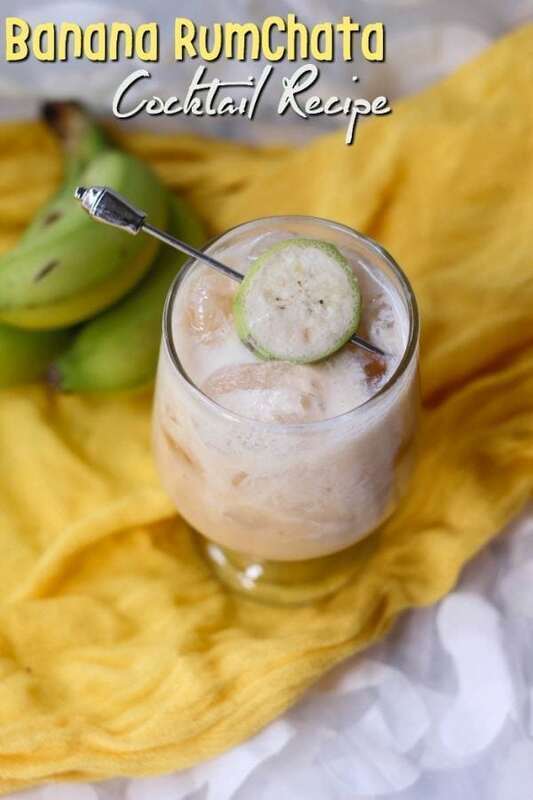 This drink is bananas! 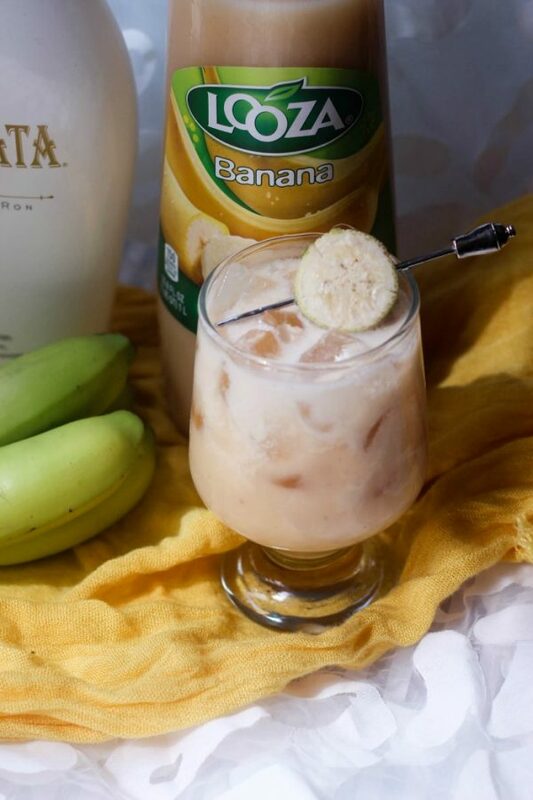 In case you've been wondering, the flavor combo of banana and RumChata is most definitely delicious. Fill the rest of the glass with RumChata. What’s your favorite RumChata cocktail recipe? 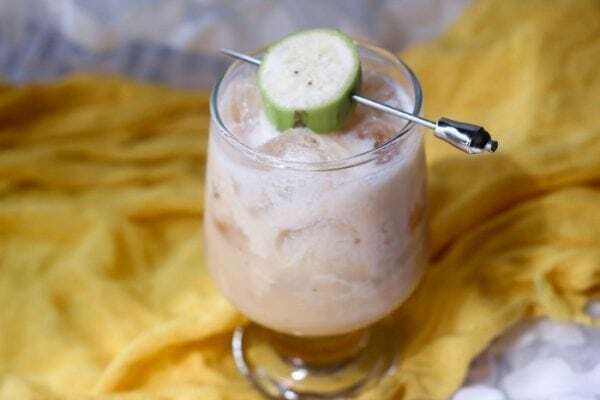 This looks so good– and I love the idea of using frozen bananas here, too! Thanks so much for joining us at Delicious Dishes! 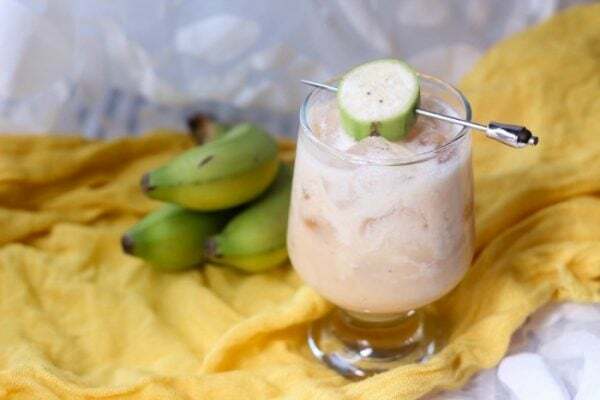 We love your Easy Banana Rumchata Cocktail recipe and hope you’ll join us again this week!